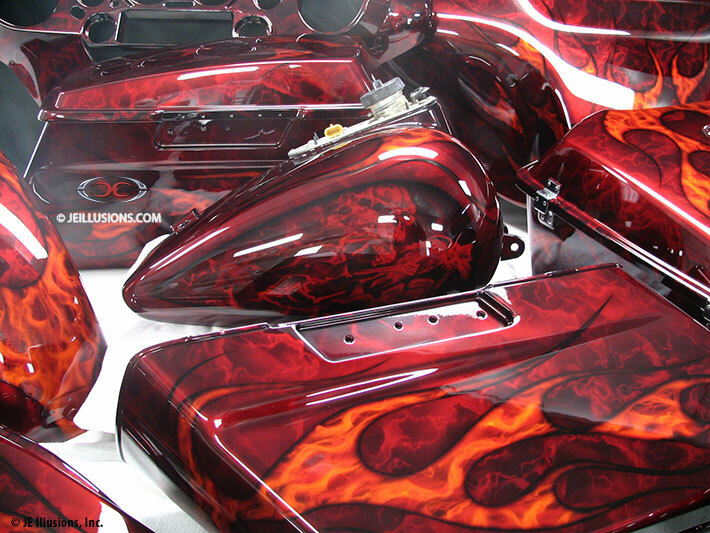 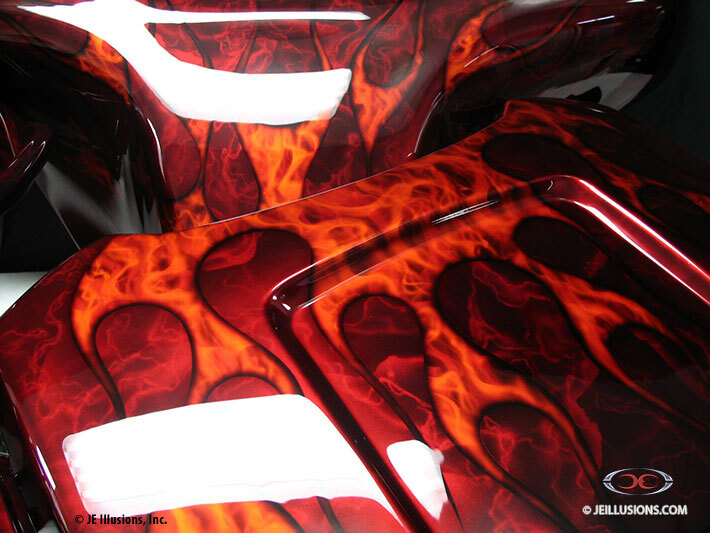 A full body, high-gloss paint job with airbrushed realistic flames inside a tribal pattern over a smokey layered pattern. 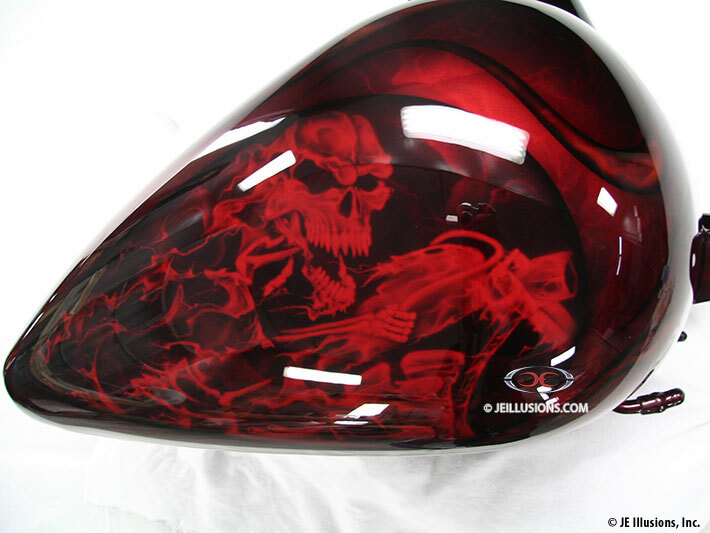 Both sides of the tank has very detailed death figure blazing on his own bike. 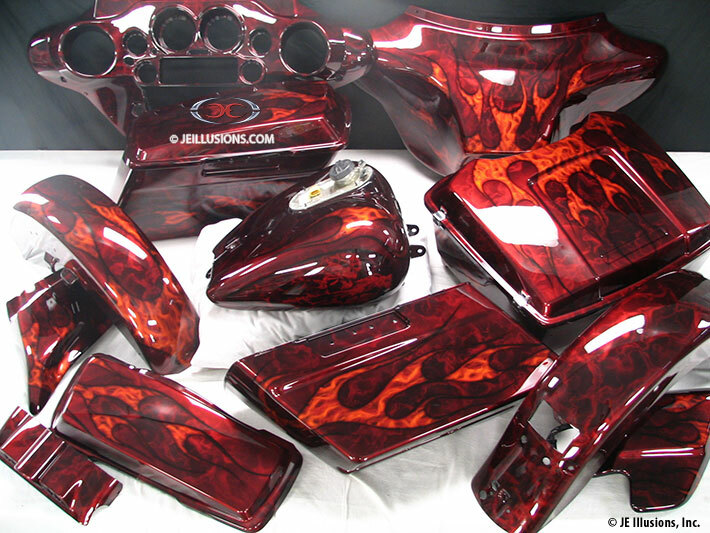 Done in Deep hues of Jet Black and Red Kandy over a Red Marble underlay.